Even though it’s pretty warm during the day, the temperature can still be a little chilly at night. Princess Piggy Poo loves being covered by a throw blanket during her nighttime cuddle, and I’m okay with that for now. However, as summer approaches, it makes us nostalgic for winter. One of my favorite things about Princess Piggy Poo is how warm she is. Not in an affectionate way, but her body temperature. Guinea pigs run from about 99° to 103° F — quite toasty. It’s so relaxing to have a warm, squeaking, furry cavy comfortably cozy on your arm or abdomen while watching a television show or reading. A few weeks ago I tweaked a muscle in my forearm. Princess Piggy Poo gave it tender loving care just by laying on it. Better than a wiry heating pad, a bulky hot water bottle or stinky liniment, Princess Piggy Poo was a quick cure. Plus, I didn’t have to search through any drawers to find her. She’s always nearby. I figure it’s only a matter of time before spas start offering guinea pig massages — after all there are already hot stones, cactus, cupping and even snake massages. It could be relaxing to have little cavy feet running around on your back and then finding a comfortable spot to catch a few z’s. Not for too long though, cavies aren’t potty trained. Although, pee is warm, if that’s what you’re into. 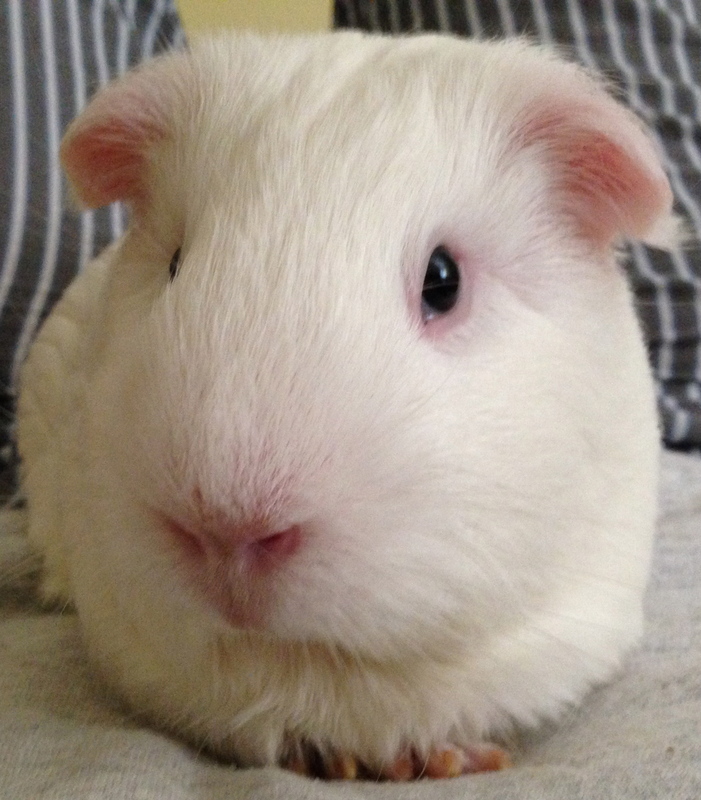 This entry was posted in Uncategorized and tagged cavies, cavy, cuddle, guinea pig, guinea pigs, Princess Piggy, princess piggy poo. Bookmark the permalink. Whee pigs make super hot water bottles and are very good for painful shoulders or stomachs as they’re our favourite places to sit!